On Saturday our family had the awesome opportunity of volunteering at the St. George Ironman 70.3 race. In previous years Mel and I have worked at the finish line. 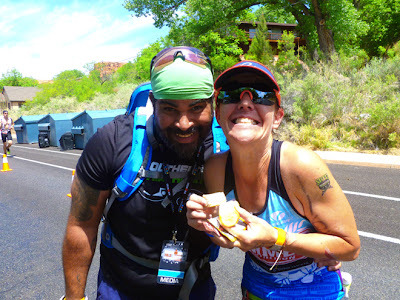 This year we worked at a run aid station. I'm a fan of anything that involves 1) cheering until I lose my voice, 2) giving ridiculous amounts of high fives, and 3) ringing a cowbell like there is no tomorrow. 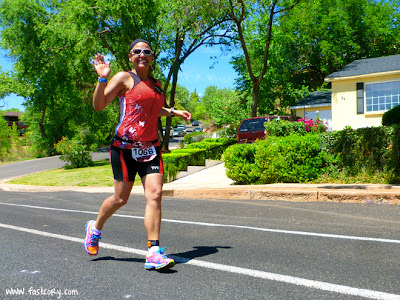 It was cool to see some elite athletes, including Heather Wurtele who took 3rd place but has won the St. George Ironman before. I'll bet we had more than 50 friends competing in the race, including my friend and fellow social worker Catherine. And Cherie who is one of the most fun, happy human beings I know, along with her amazing photographer hubby Alex. 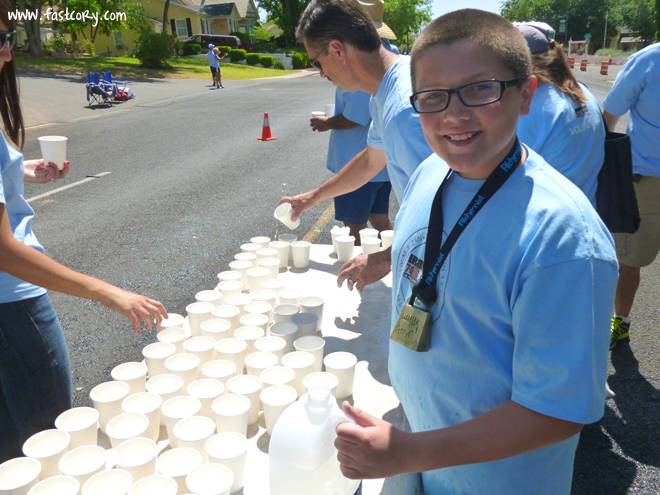 Me, Mel, and Kylee were in charge of filling cups of water, ice, or Powerade and then passing them out to runners. I seriously loved seeing my kids so involved in helping with the race. Jackson was the real trooper. The rest of us volunteered for seven hours but Jackson was there for eight! It was a proud father moment to watch the kids in action. I was so impressed with the determination of all the athletes. 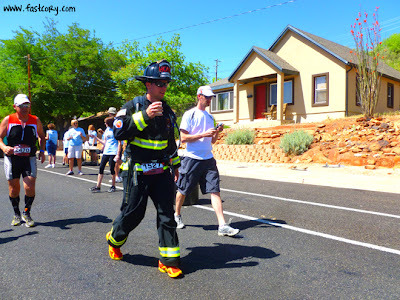 Check out this guy who did the whole run in a full fireman suit. It was a really hot day. I can't image how much he was roasting in this. Volunteering is so great because you get to have such an active part in the race without any of the suffering! We are excited to do it again next year. Love volunteering at races with my kids. 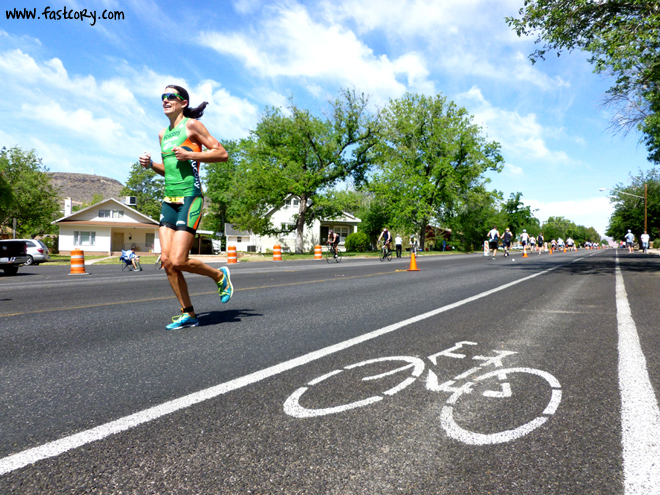 So how to I talk you guys into coming out to Boulder, CO in August for my first 70.3??? I have an extensive cowbell collection. 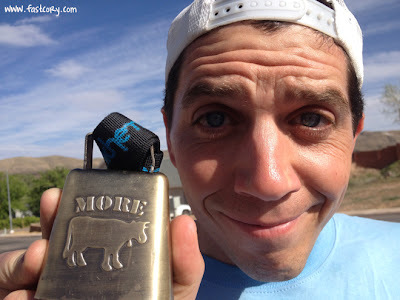 I'll always remember running an aid station at the Mt. Evans Ascent and a woman (no doubt thoroughly exhausted and at her wits end) yelling at us to stop ringing our bells. LOL, it was mile 13 and over 13,500 ft ... we were happy to accommodate ... and rang away once she was out of sight. Good on you and your family. 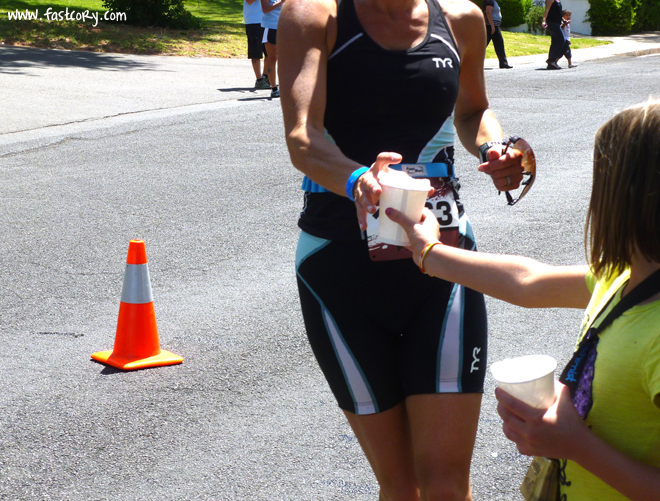 Events can't run unless people like you step up and help. I'm glad you even got to enjoy it. I hope you waved Hi to one of my clients :). Volunteering is a blast; so cool you and your family got out there for a good cause. Do I see a IM in Cory's future?? That's awesome! 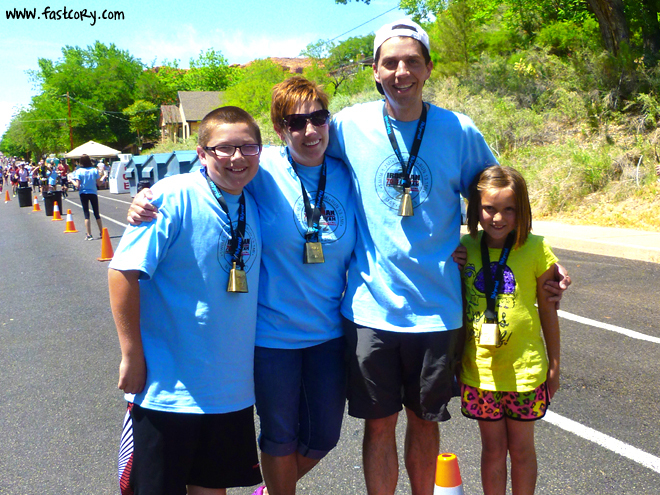 I would love to get my whole family out to volunteer for a race. I'll have to look into that :). What a great day! I would love to do that 70.3 one day. Just the swim looks absolutely beautiful!! I bet your kids will wanna go back next year to do it again! I think it's great you made it a family event! I so love to volunteer. It's a total blast, almost as fun as actually doing the event. The volunteers were absolutely incredible all day long. Love that your whole family was there to help support. That is so cool Cory! It looks like you had such a blast. Seriously, you volunteers brought so much energy to all of us out there. We can't thank you enough! 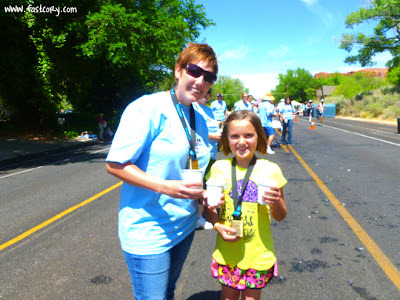 I would love to volunteer sometime and after my kids saw the race, they want to volunteer next time too! I wish I would have known you were out there....it would have been fun to say Hi!